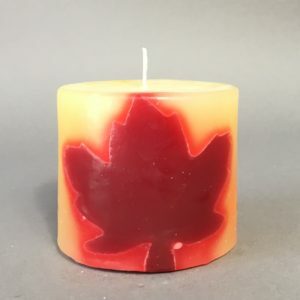 Our "MAPLE LEAF" pattern. 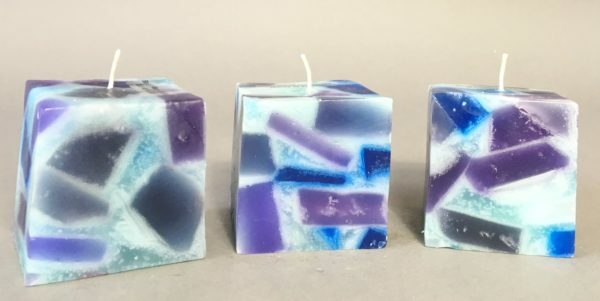 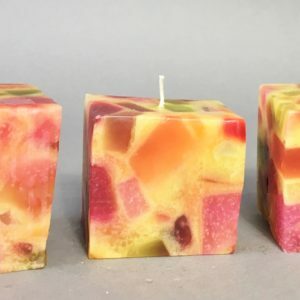 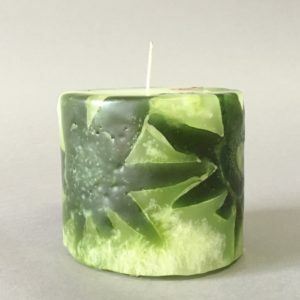 This handcrafted scented candle will burn for approximately 50 hours. 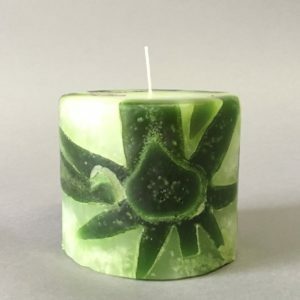 The entire body of the candle will glow and this candle will burn dripless. 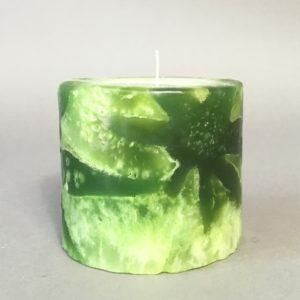 Reuse the burned out candle as a candle holder for smaller candles! 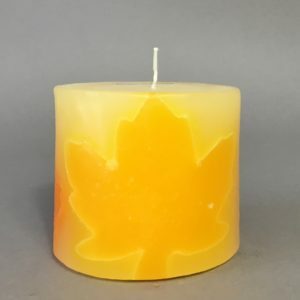 You’ll love the authentic Maple fragrance! 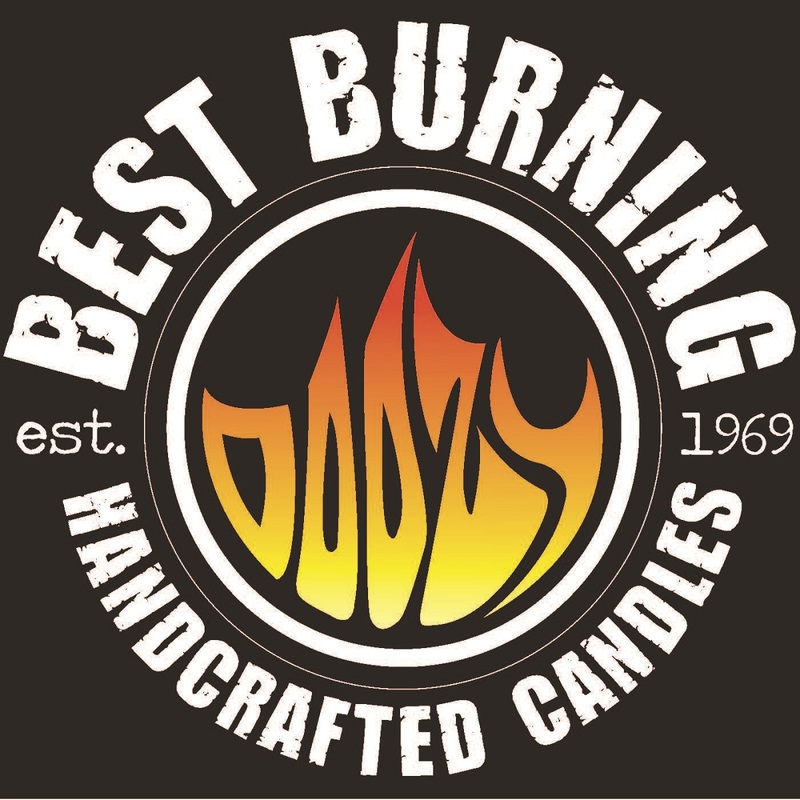 All our fragrances are Paraben free and do not contain any of the Phthlates which are considered harmful. 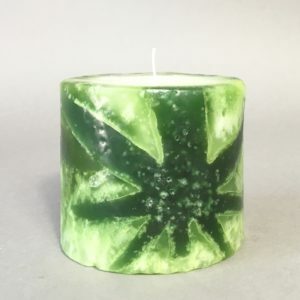 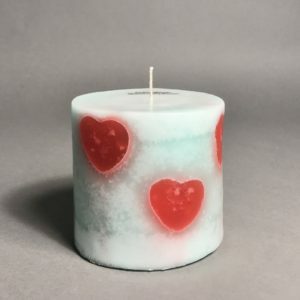 Remember to burn this candle for 3 hours minimum each time to achieve the maximum burn time. 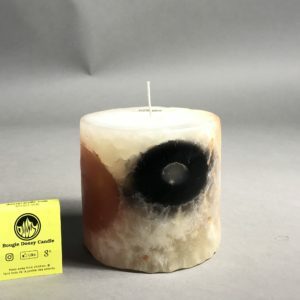 FREE SHIPPING within CANADA!